Since joining Moody in 2016, David Dondlinger’s underwriting expertise and consultative approach have proven valuable assets to Moody’s surety clients. His role includes reviewing bid bond requests, managing final bonds, providing contract review, and working with clients to make sure their projects fit within the parameters of their bond programs. Born and raised in the construction industry, David draws on both his knowledge of the construction process as well as his previous experience as a surety bond underwriter to provide Moody clients with expert surety guidance and support. 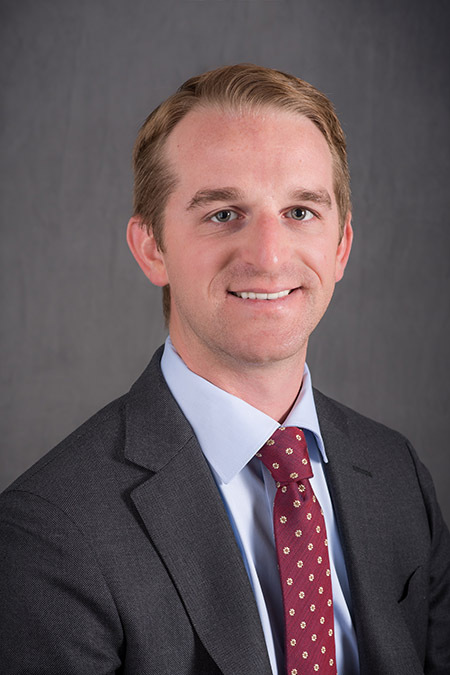 After graduating from the University of Kansas with a bachelor’s degree in Economics, David worked as an Estimator and Project Manager for the family construction business in Wichita. He then moved to Chicago where he worked as a surety bond underwriter with CNA Surety. This unique combination of work and life experience allows him to quickly assess a surety bond request and help clients gather the right information up front to expedite the underwriting process. Since moving to Colorado, David has become involved in the Rocky Mountain Surety Association and the National Association of Surety Bond Producers. Outside the office, you’ll find him on the golf course or the basketball court.